If you didn’t hear the news, LeBron James and his Cleveland Cavaliers won the NBA championship. It’s pretty amazing because they did so after being down 3-1 in the series, meaning they had to win three straight. It’s even more amazing because they had to beat the Golden State Warriors three times in a row, a particularly difficult feat seeing that the Warriors had an all-time best 73 wins during the regular season. And two of those three wins had to come in the Bay Area (they went 39-2 there during the regular season). Anyway, the Cavs did it and now an unlikely benefit has presented itself to homeowners. The historic win ended a 52-year drought in the city of Cleveland when it comes to a major sports championship. And what better to way to celebrate than lower mortgage rates? Well, there are probably many, many better ways to celebrate, but for the sake of this blog, lowering mortgage rates is a pretty good way to savor the victory. 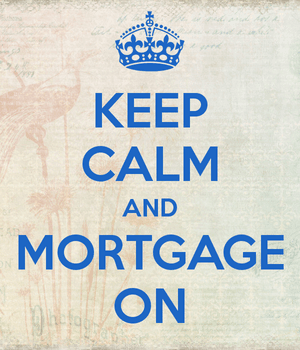 And that’s exactly what Cleveland, Ohio based mortgage lender Third Federal Savings & Loan is doing. From June 23rd through June 27th, the bank is reducing all its home mortgages rates in the states of Ohio and Florida by a quarter percent. Not sure why Florida gets to take advantage, but LeBron did play in Miami before heading back to his old digs in Ohio. The rates are being slashed by 0.25%, which translates to 3.19% on a 30-year fixed and 2.74% on a 5/1 ARM. Third Federal chairman and CEO Marc Stefanski said in the release it’s the “lowest rate ever” offered by the bank on its 30-year fixed purchase loan product. With fixed and adjustable rates that close, you’d probably be better off going with the fixed option. Although their 5/1 ARM comes with just $295 in closing costs, which could make it more economical for someone looking to refinance and eventually move on to a different property. As with all other promotions, it’s always recommended to explore your options instead of just going with a bank offering a special rate or some sort of guarantee. There might be a dozen other banks offering similar rates with lower closing costs. So you should always do your homework and take the time to find the best deal. It’s not to say these aren’t good rates, they sound pretty low, but there might be better offers depending on the loan product you’re interested in. What’s funny about this promotion is that it didn’t come from Cleveland Cavaliers majority owner Dan Gilbert, who incidentally also owns Quicken Loans. The team behind Rocket Mortgage doesn’t appear to have anything similar offered at the moment, but maybe something will eventually surface as a result of the Cavs big win.